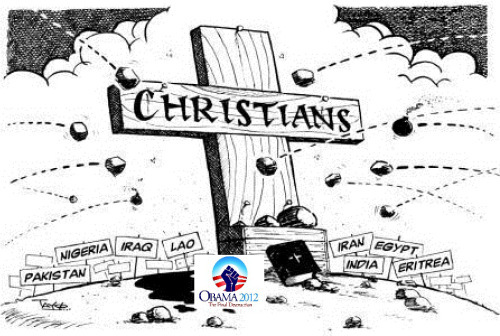 Do you remember our Trail Dust’s post of April 28, 2013, “Christianity to be outlawed in U.S. military,” on the Pentagon consulting the virulently anti-Christian atheist Mickey Weinstein to develop new policies on “religious tolerance,” including a policy for court-martialing military chaplains who share the Christian Gospel during spiritual counseling of American troops? Christians in the U.S. military are being persecuted and prosecuted.Below are two examples of Christian servicemen being coerced to either embrace the “gay lifestyle” or get out. 1. The case of Technical Sgt. Layne Wilson, a 27-year veteran of the Utah Air National Guard. Todd Starnes reports for Fox News, July 11, 2013, that last December, TSgt. Wilson wrote a private email to a chaplain at West Point, stating his unhappiness about a “gay” wedding in West Point’s Cadet Chapel. Instead of responding to the private email, the Commandant of Cadets notified the Utah Air National Guard. All of which led to Wilson being reprimanded for conduct inconsistent with the United States Air Force, which had brought disgrace and discredit upon the Air National Guard. After formally reprimanding Wilson, the Air National Guard then terminated its six-year reenlistment contract with Wilson, in effect telling him to retire. “Due to the fact that I expressed my views on homosexuality in uniform; Lt. Col. Tobias stated that I was no longer compatible with further military service,” Wilson wrote in a letter detailing the discrimination allegations. What is even more outrageous is that at the time of Wilson being reprimanded, the Supreme Court had not yet ruled on the Defense of Marriage Act (DOMA), which means DOMA was still the law of the land. In other words, in objecting to the homosexual wedding in the West Point chapel, TSgt. Wilson was merely expressing his disapproval of an act that was in violation of a federal law! TSgt. Wilson has retained the counsel ofattorney John B. Wells, a retired Navy commander, who is asking the military to rescind the reprimand and reinstate the original six-year reenlistment contract with Wilson. 2. The case of Master Sgt. Nathan Sommers, a 25-year Army veteran. Todd Starnes reports for Fox News Radio, June 24, 2013, that Master Sgt. Sommers is a 25-year military veteran, a decorated soloist with the U.S. Army Band, and a Christian conservative. Making a false official statement. MSgt. Sommers believes the real reasons why he was reprimanded are his conservative political beliefs and Christian faith. But the incident that led to an official investigation of Sommers came late last summer when he served Chick-fil-A sandwiches, paid for with his own money, at his promotion party. Why Do “Racist” Crimes Only Make National News When The Victim is a Marketable Minority?